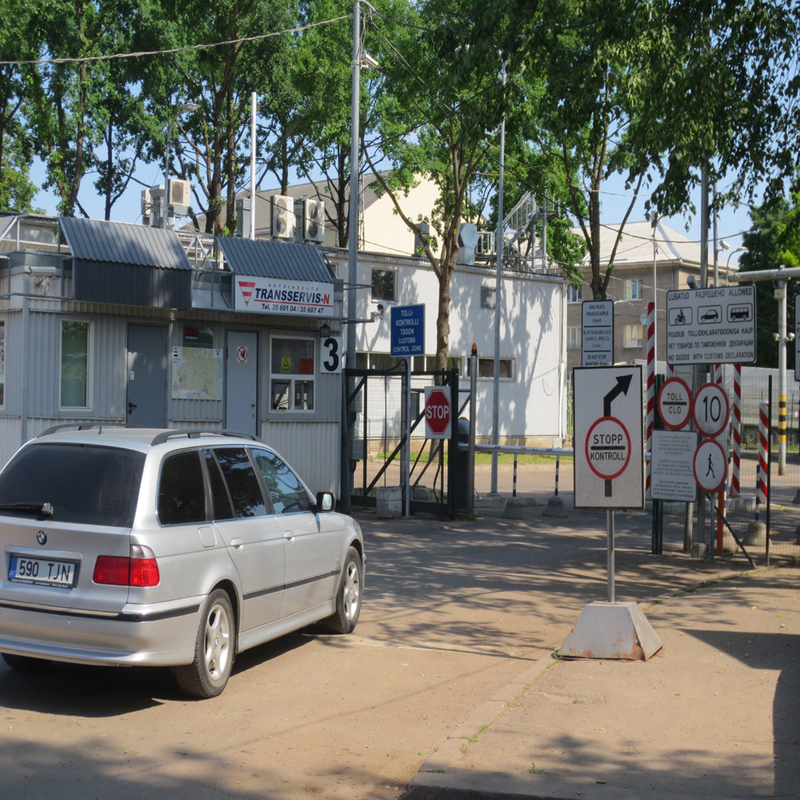 Wednesday we left Kaunas and drove to see Klaipeda Lithuania. Klaipeda was once known as Memel and was the northern most city of East Prussia. After WWI the city was taken from the Germans and given to Lithuania. 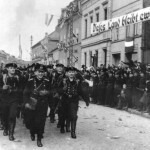 In 1939 German troops were sent into Memel to reoccupy it and return it to Germany. Today there is sadly very little left to remind one of the city’s East Prussian past. Most of the city was destroyed in WWII. There is a very small old town with cobble stone streets and building dating to the 1700s. As I walked these streets I remember reading Guy Sajer’s book The forgotten Soldier. For those who don’t know the book is a memoir of a German soldier’s experience on the Eastern Front. 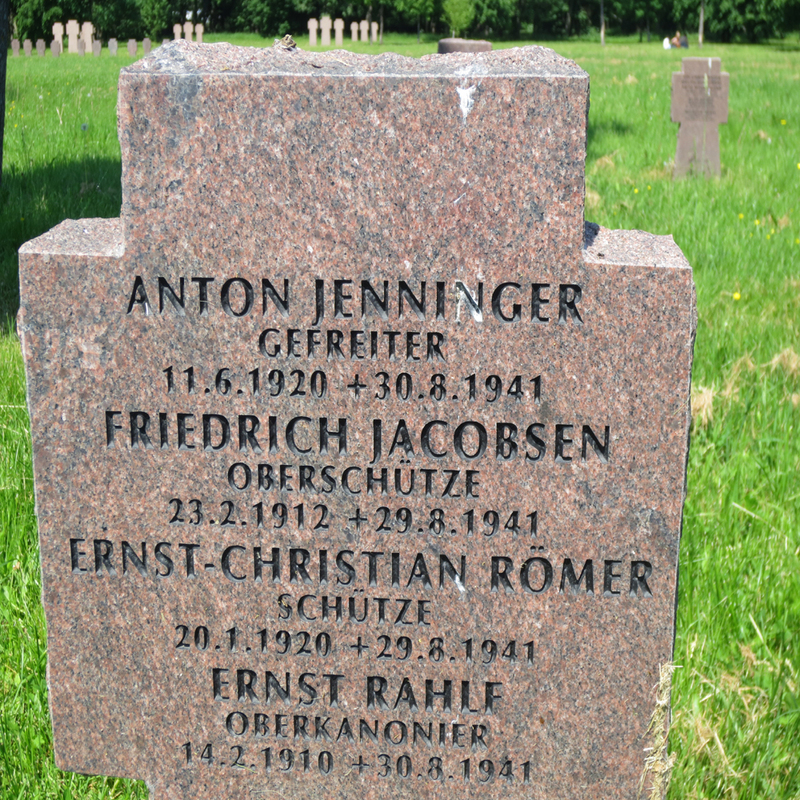 Sajer fought in the battle of Memel in 1945. He commented about the streets of Memel and how empty they were prior to the battle, as the residents were evacuated. It was hard not to wonder if I was walking the same places as Guy Sajer. 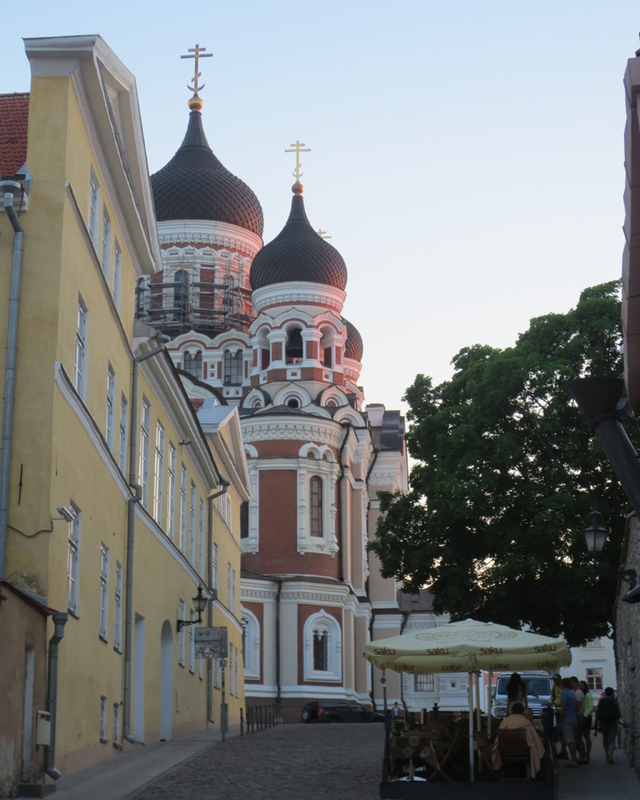 We left Klaipeda and headed north all the way to Tallinn, Estonia. The drive took us though Latvia and up a long the Baltic coast. After seven hours we reached our destination of Tallinn. Tallinn in my opinion one of the most beautiful cities I have had the opportunity to visit. There is a fairly large medieval city called Old Town that has been lovely restored. As I walked the streets I saw buildings that had been commissioned by Catherine the Great, other that has once belonged to wealthy German merchant that has been built in the 1600 and 1700s. Buildings that dating back as far as the 1300s. Everywhere you look in this city there are reminders of its ancient past. 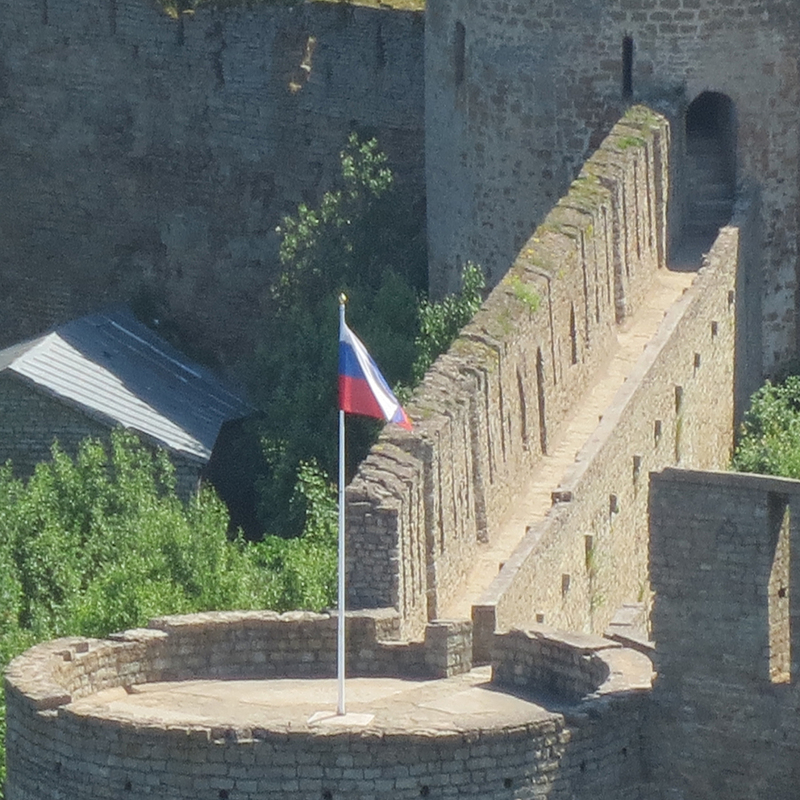 We were in Narva to see its WWII heritage. 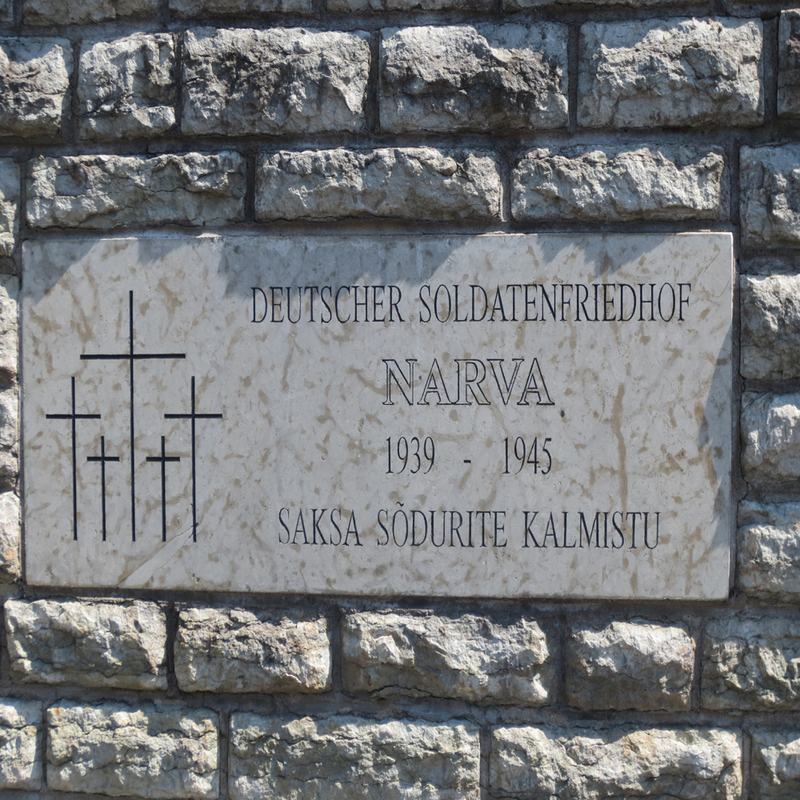 Narva was the site of a large and bloody battle. The battle took place in two parts. The first part was fought in January and February of 1944. The Red army attempted to create a bridgehead across the Narva river, but were stopped and pushed back by the German. The Germans created a strong point known as the Panther line.This line held until it was finally breached by the Red army in the summer of 1944. The Germans fell back to the Blues hill outside of Narva and created a new strong point called the Tannenberg line. Everywhere you look in Narva there are reminders of the titanic battle if you know where to look. I didn’t so I hired a guide by the name of Pavel who was from the area, and is a local history teacher. 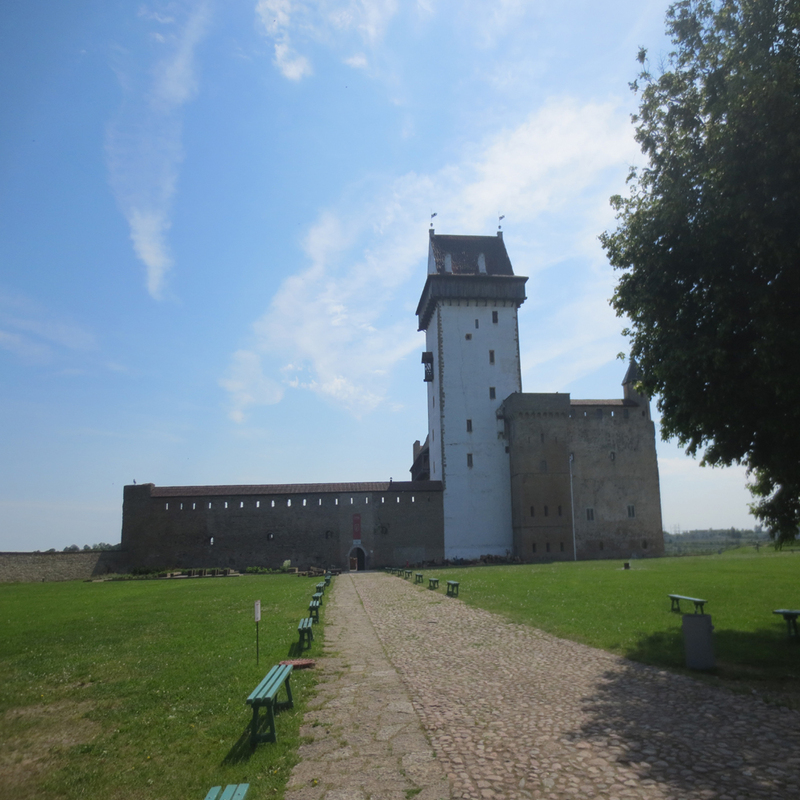 The first place Pavel took us was to the Narva fortress. In the front of the fortress there was some construction going on. 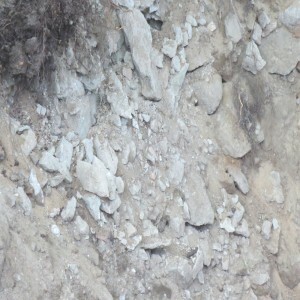 Our guide pointed out to look in one of the excavated holes. 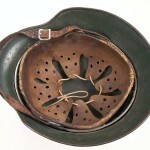 Sticking out of the dirt was a German mess kit. Our guide spoke to the workers and they said the day before they dug up a few German and Soviet helmets. Reminders of the war are found pretty frequently here. 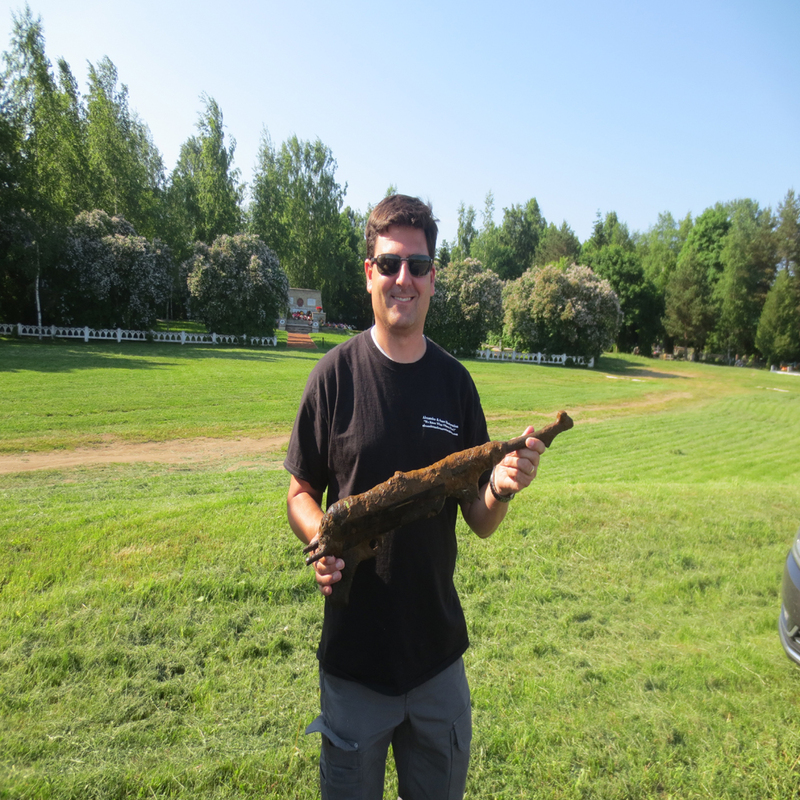 This tank was supposedly fished out of the Narva river in the 1970s. My guide says the story is made up, but still its neat monument. 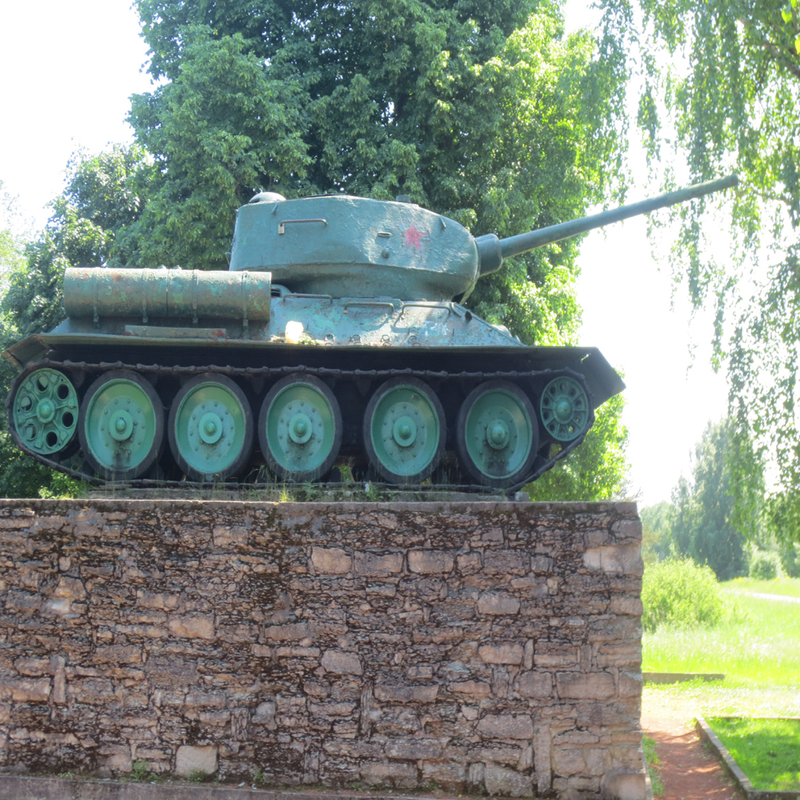 It now sits on the exact spot where the Soviets finally breached the Panther line and were able to push into Narva and establish a bridgehead. 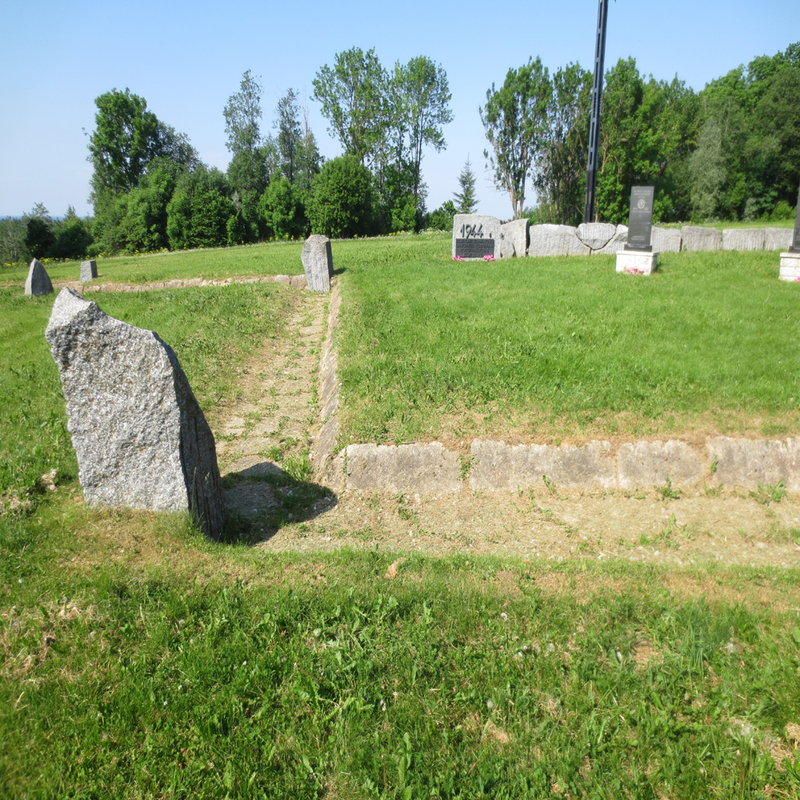 The cemetery sits on the site some where some fierce fighting took place. 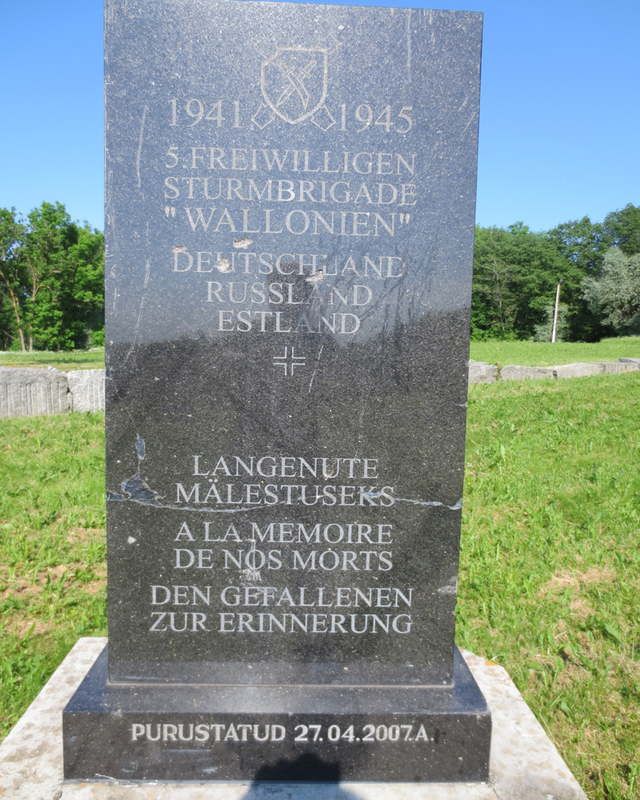 It is now the resting place for the remains of 30,000 German soldiers as well as Finnish, Dutch, Norwegian, Danish, Estonia and even a few Russian that volunteered to fight along side the Germans. They are in fact still finding bodies in the forest, when they are discovered they are removed and interred here. 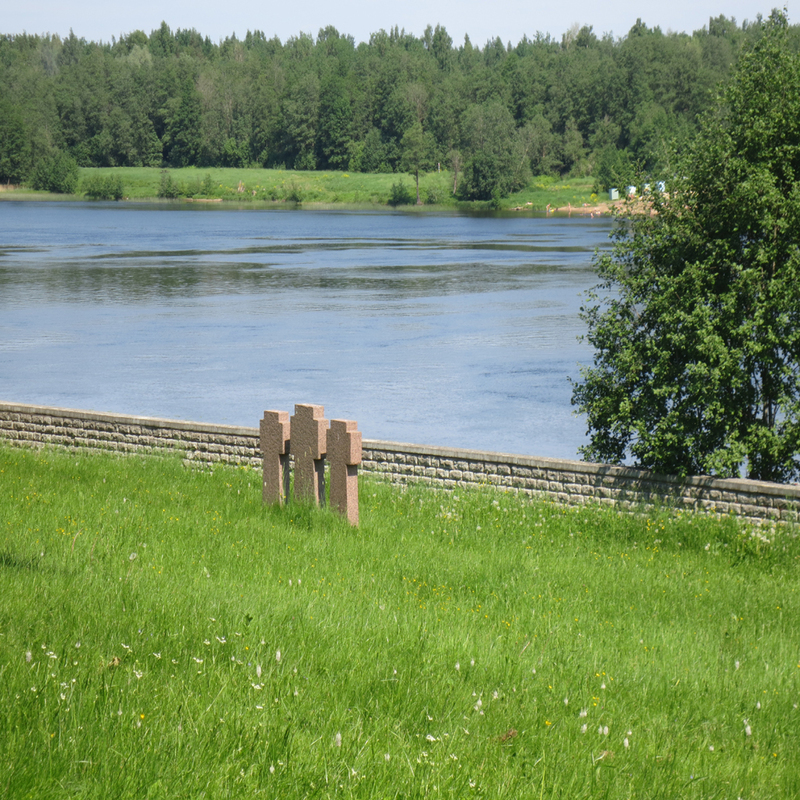 In February of 1944 the Soviets attempted to cross the river here, which was frozen over at the time. 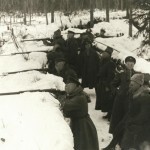 The Germans commenced with a bombardment of the ice which broke up and stopped the Soviet advance, at least for a time. As I stood on this peaceful grassy hill I tried to envision what it must have looked like in February of 1944. I could picture Germans soldiers in their white parkas and white washed helmet. Men running back and forth lugging MGs,ammo crates and mortar rounds. 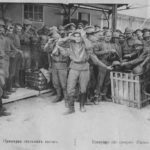 Men yelling and calling to each other in a mix of languages, Estonian, German, Dutch, French, and Finnish. Snow covering the ground. I could picture their desperation knowing what failure would mean. I next thought about the men of the Red army, what have been going though their minds as they tried time and again to rush across the ice, only to be cut down by heavy fire from MG42 and mortar rounds. I could just see the ice turning red as wave after wave of Red army soldiers were cut down. The next wave slipping on the blood of their comrades. There is just something about standing right where it happened that helps you picture it so much more clearly then just reading about it. 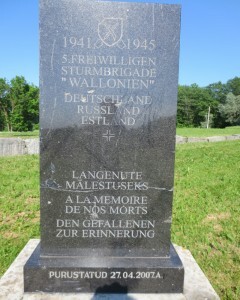 After visiting this moving site we headed down the highway to what was Germans next stong point. The Tannenberg line. The Tannenberg line is located just West of Narva in a very small village called Sinimae, or the Blue Hills. 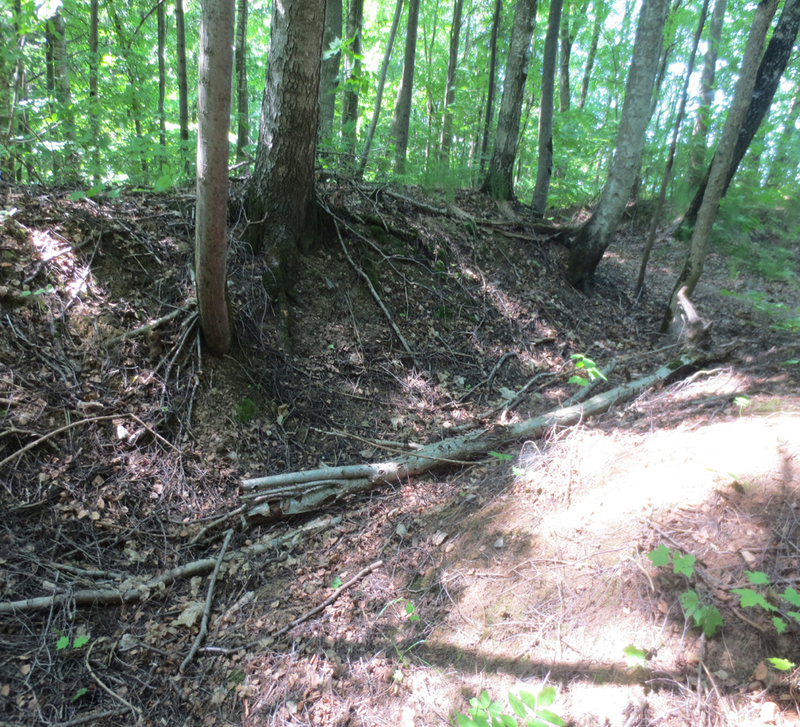 Our guide took us into the woods to show us exactly where the trench lines had been. The trenches are still there, and it is possible to walk the line of defence and strong points. Our guide Pavel’s knowledge of the area was much deeper then I realized. 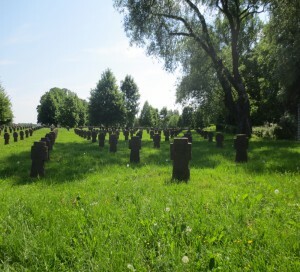 Pavel spent five years employed by the German government locating the unmarked graves of German soldiers, identifying them and arranging to have their remains interred in the Narva cemetery. 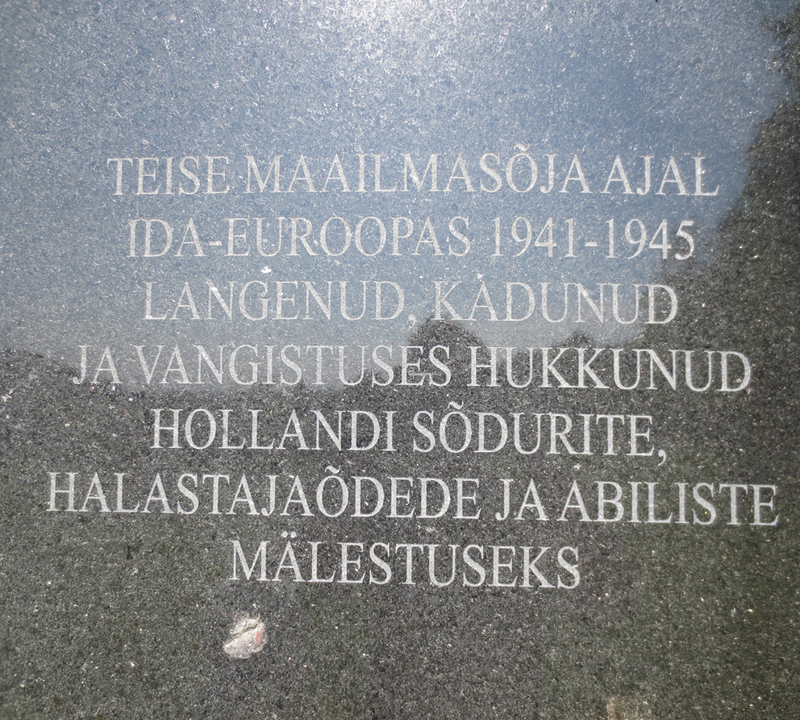 When we were in the Narva cemetery he excitedly showed me the names men he has found on the memorial slabs. 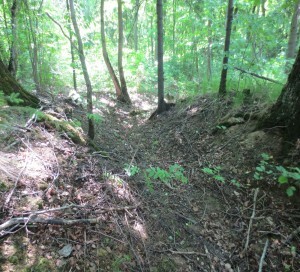 While we walks the trench line he would point out areas where he and his team had located the remains of different men. Because of this Pavel was able to map out exactly where certain units held points of the line. 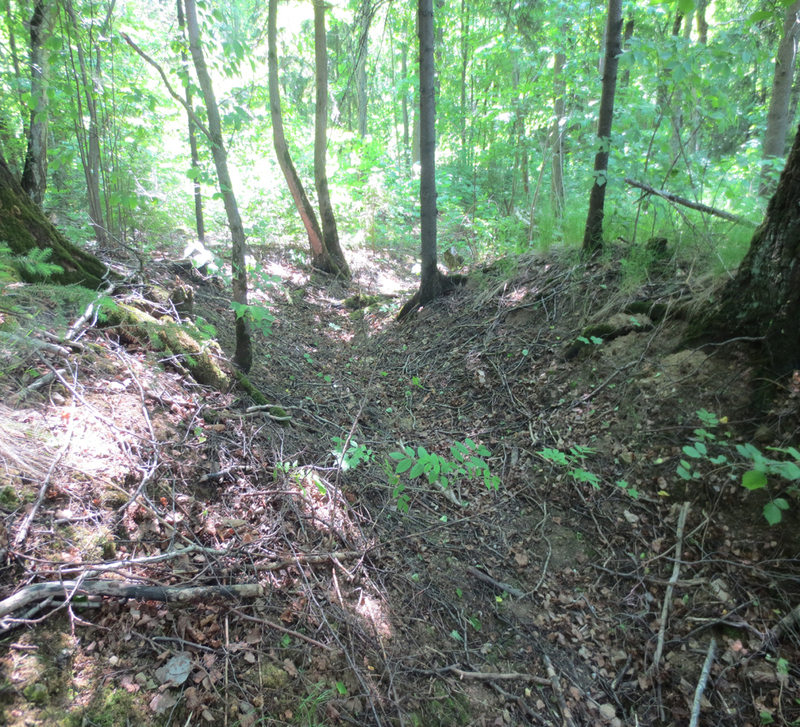 It was pretty interesting to hear that in a particular section of the trench it had been held by men from the Dutch SS or Danish SS, or German army. 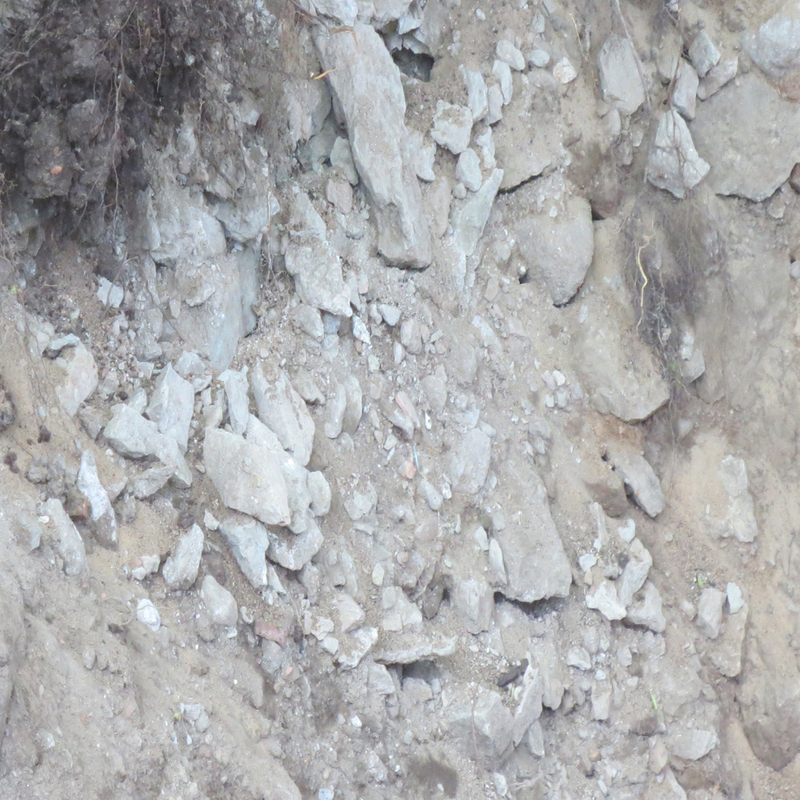 As we walked down the line he was constantly pointing out where remains had been located. In one area he said he located five men all from Dutch SS. 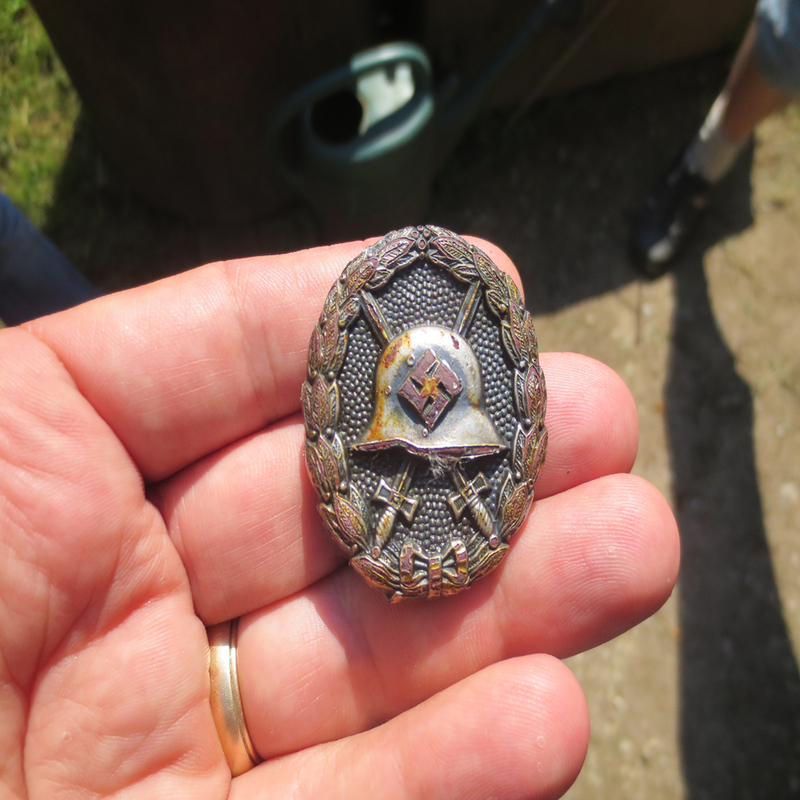 In another a single Finn from SS Norland had been located. I asked him what happened when they located the body of a Russian instead of a Germans. He said that was where it got a little hard. Soviet soldiers believed it to be bad luck to wear a dog tag and therefore didn’t use them. 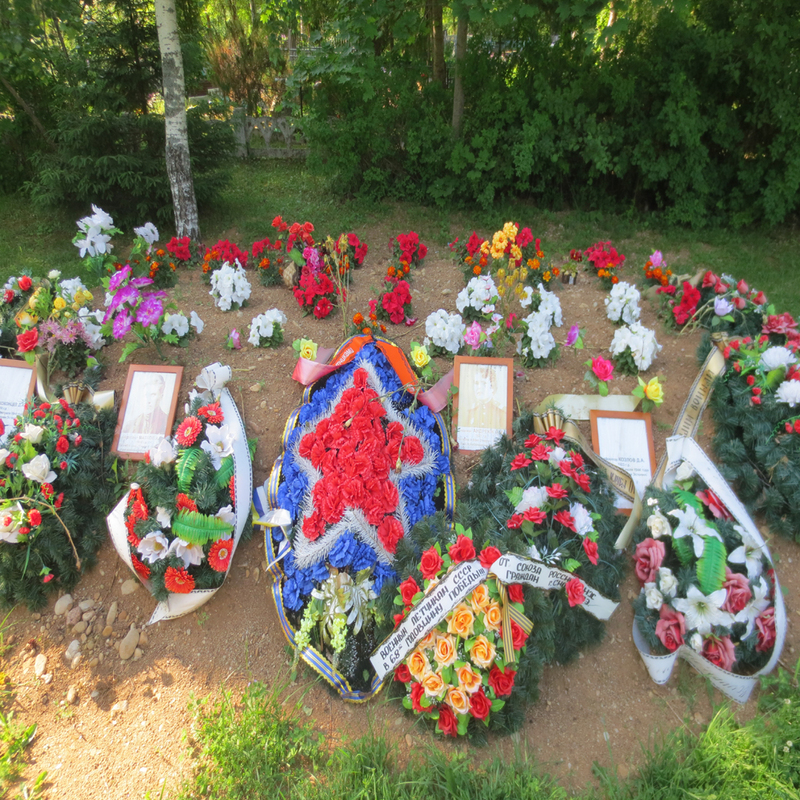 He said it most cases Soviet remains can’t be identified so they are removed and interned in a mass grave. 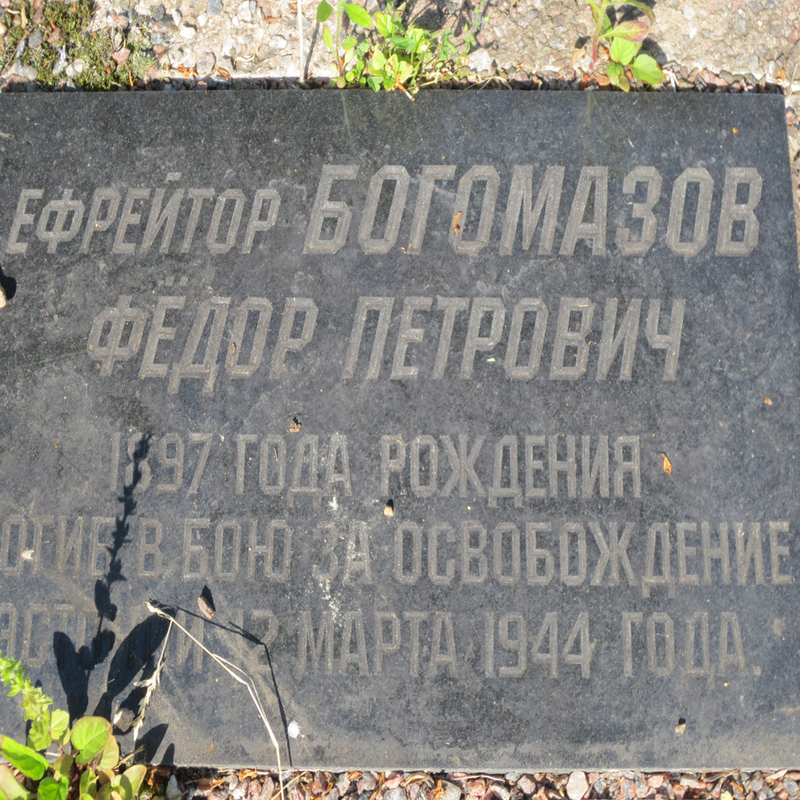 A little later in the day he took us to where Soviet soldiers are buried. The man’s family was notified and they were able to put in this headstone. 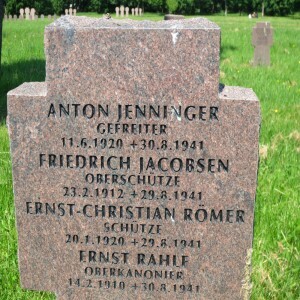 Note the age of the soldier. He was born in 1897. He was not a young men when he served. As we continued our tour of the battlefield we met a local digging team. 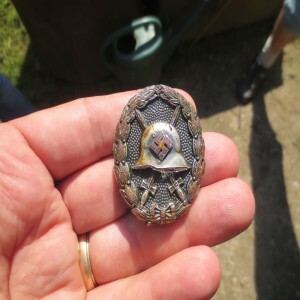 They has just uncovered a Condor legion metal. Relic of this terrible battlefield are everywhere. 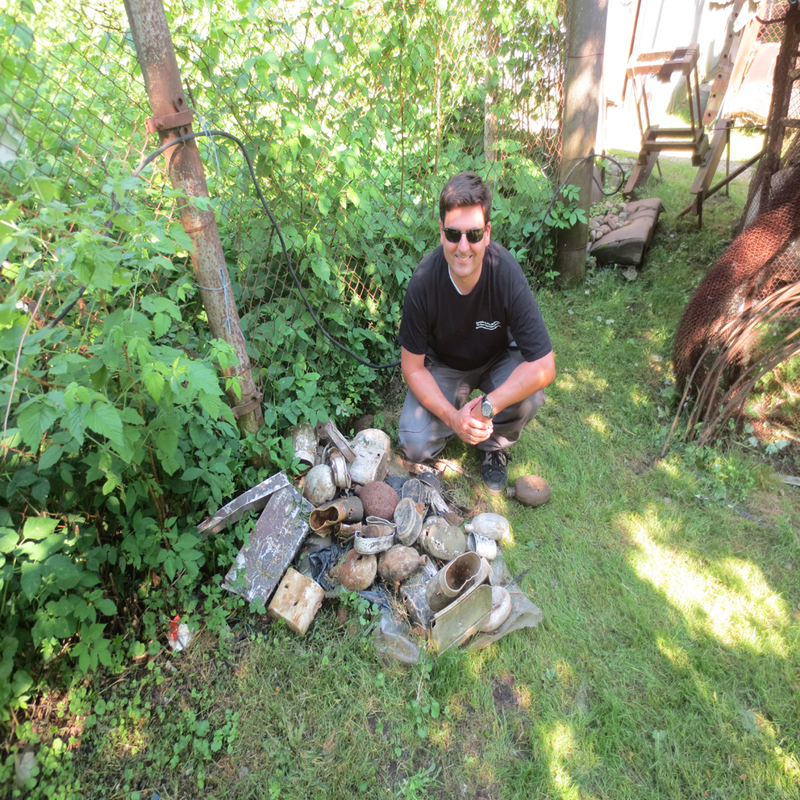 We visited the house of a local and he showed us a pile of items he found in the forest. 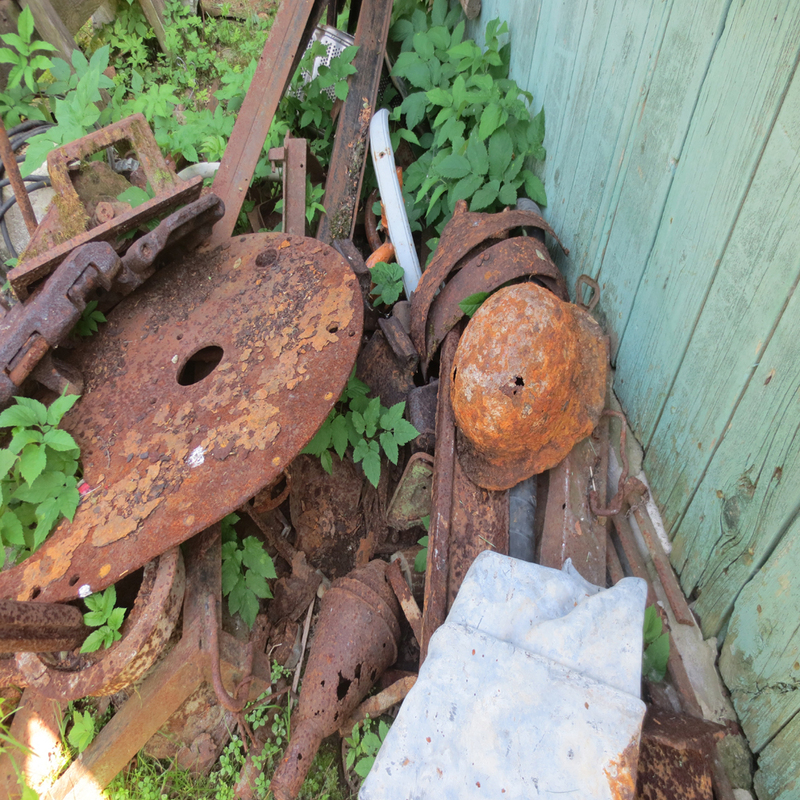 The owner of this pile of war junk let pick though it and take anything we wished. I took a wooden canteen dated 1942. After chatting with this local we headed over to the Sinimae museum. 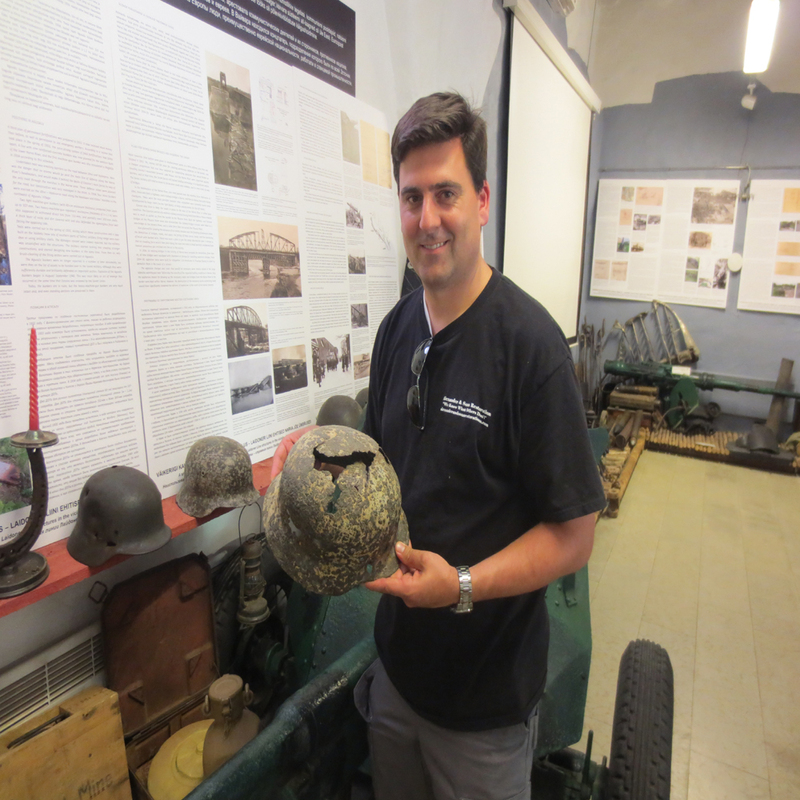 The museum was very small, but has a very friendly curator who spent lots of time telling us all about the battle and especially the SS-Norland division and Estonian SS. She was quick to tell us that as Americans were tend to think that the SS were all evil men that worked in concentration camps. I of course knew this but I could tell she was pretty passionate about the subject so it was interesting to listen to what she had to say. She explained to us all about how terribly the Estonians had been treated by the Soviets. 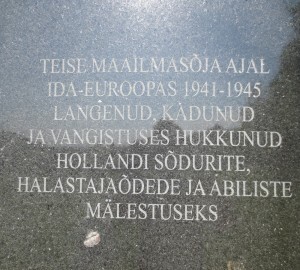 How many Estonians had been killed and deported by Stalin. 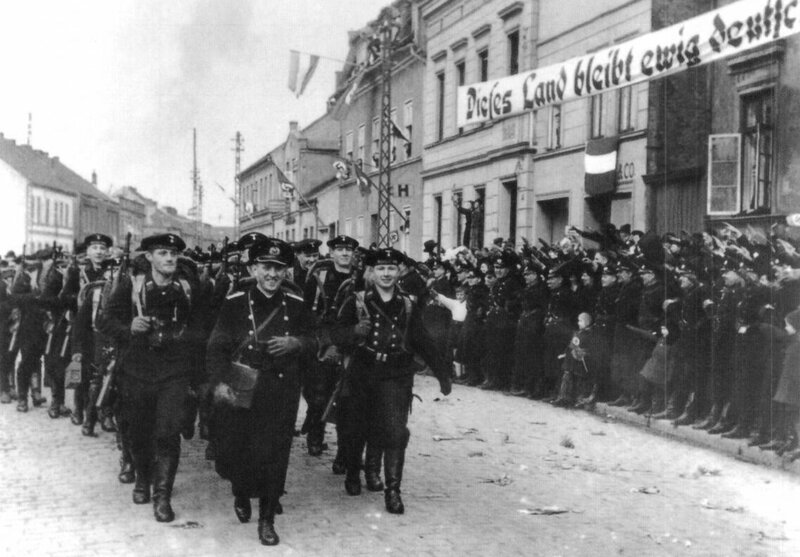 It was natural that the Estonians greeted the Germans as liberators. She also talked about how young men from Scandinavia and Holland has been enticed to join the SS with promises of adventure and free education in the post-war era. Her main point was not to judge these men too harshly for their service in the SS. 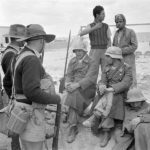 It is not all black and white in the history of WWII. After leaving the museum we headed out to make one final stop. This was to Grenadier hill. Grenadier hill was the final strong point in the Tannenberg line. This position was held by SS-Norland in July of 1944. This was the site of some of the bloodiest fighting of the battle for Narva. Today it is now the site of a memorial to the men who lost their lives defending this position. 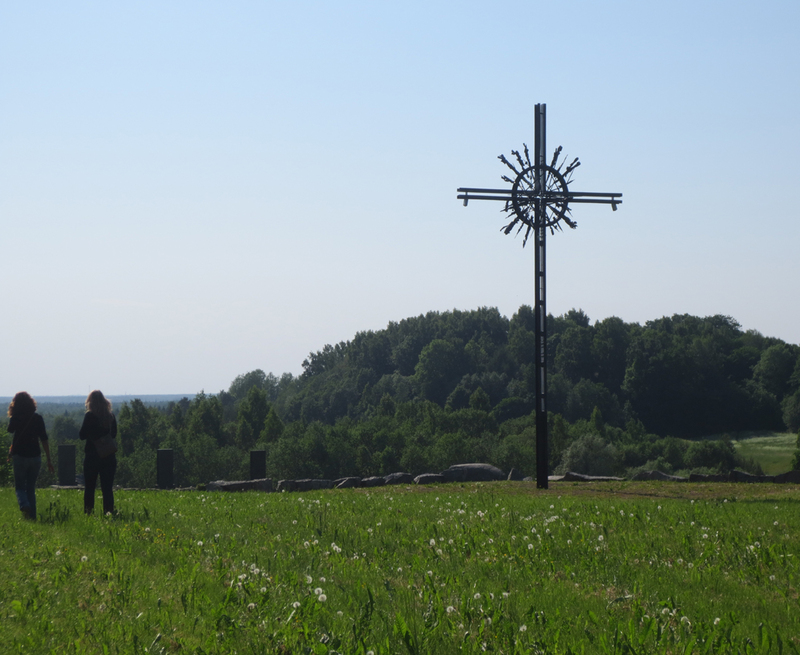 Around the cross are memorials to the Dutch, Estonian, Danish, and Wallonian men who fought and died here. The original trench line actually runs through the center of the memorial. After contemplating the great battle that took place here. Trying to picture these men from varies nations who fought here we returned to our can for the long drive back to Tallinn. As we were preparing to get into our car, we ran into the diggers we met in the forest. They had been trying to track us down. 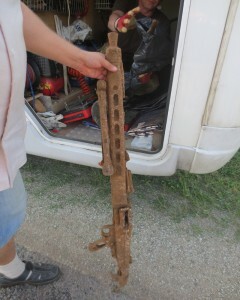 They wanted to show us a MG42 they just dug up and a MP40. I have to say they were pretty proud to show us what they had found. It had been a long day, but worth the trip. Seeing where these event took place really made WWII come to life.